TFC is honored to recognize 2007 Alumni, Keith Wilson. 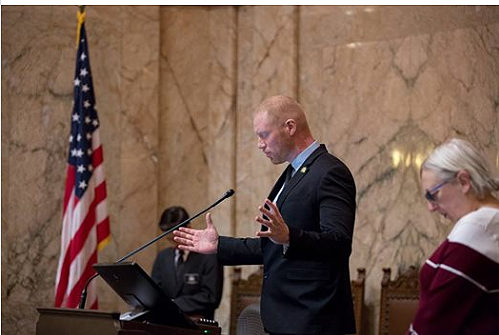 Wilson was privileged to pray before the Washington State House of Representatives the last week of January. Wilson is currently the lead pastor at Hood Canal Community Church in Hoodsport, Washington. This is the 4th consecutive year Wilson has been invited to speak with legislators and pray.